Below you fill find all funeral homes and cemeteries in or near Bonifay. Suburbs of Bonifay: Caryville, Esto. Bonifay is also known as: Holmes County / Bonifay city. Zip codes in the city: 32425. Some of the notable people born here have been: (jerry g. melvin), (ronald johnson (politician)), and (georgia boy williams). Bonifay is a city in Holmes County, Florida, United States. Bonifay was given its name from a prominent family that had a brick making factory in Pensacola, FL. Frank Bonifay, the man behind the town's name, bought a stake in the L&N, now CSX, Railroad. As W. D. Chipley connected the rural Florida Panhandle, along the way he came up with names for certain communities the railroad bisected. The population was 4,078 at the 2000 census. According to the 2010 U.S Census the population had diminished to just 2,793 people. It is the county seat of Holmes County. It was noted by San Mateo County Times on February 22nd, 2015 that Evelyn "Chris" Hendley (Hasty) passed on in Burlingame, California. Ms. Hendley was 80 years old and was born in Bonifay, FL. Send flowers to share your condolences and honor Evelyn "Chris"'s life. It was revealed by South Bay Daily Breeze on April 20th, 2014 that Virgina E Hampton perished in Torrance, California. Send flowers to express your sympathy and honor Virgina E's life. It was disclosed on August 8th, 2013 that Jane Ann Thompson passed on in Bonifay, Florida. Thompson was 59 years old and was born in Liberty, NY. Send flowers to express your sympathy and honor Jane Ann's life. It was written by Frederick News-Post on June 5th, 2013 that Claude Miller passed away in Frederick, Maryland. Miller was 100 years old and was born in Bonifay, FL. Send flowers to express your sorrow and honor Claude's life. It was revealed by Hutchinson News on June 14th, 2012 that B Virginia Roby (Dykes) perished in Hutchinson, Kansas. Send flowers to share your condolences and honor B Virginia's life. It was written on May 17th, 2012 that Lee Ora Withem (Williamson) passed away in Columbus, Nebraska. Ms. Withem was 86 years old and was born in Bonifay, FL. Send flowers to express your sorrow and honor Lee Ora's life. It was reported on January 6th, 2012 that Samuel Ralph Sallas passed away in Bonifay, Florida. Sallas was 68 years old. Send flowers to share your condolences and honor Samuel Ralph's life. It was disclosed by Tampa Tribune on December 28th, 2011 that Charles Wayne Pearson died in Bonifay, Florida. Pearson was 60 years old. Send flowers to express your sympathy and honor Charles Wayne's life. It was reported by Odessa American on November 7th, 2009 that George W Leddon died in Odessa, Texas. Leddon was 74 years old and was born in Bonifay, FL. Send flowers to express your sorrow and honor George W's life. 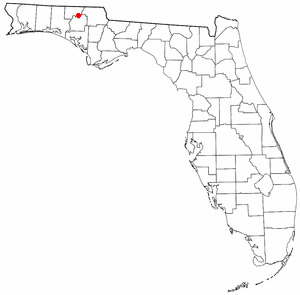 Bonifay was given its name for a prominent family in the area who goes by the same last name.[http://dhr.dos.state.fl.us/facts/reports/names/index.cfm#B]. Bonifay is a city in Holmes County, Florida County, Florida, United States. . . . Listing all funeral homes in Bonifay, Florida so you can easily send flowers to any location (same day delivery) or find any funeral service. Peel, Herb - Peel Funeral Home, Bonifay, FL : Reviews and maps - Yahoo! Local, 850.547.4144. Get Ratings, Reviews, Photos and more on Yahoo! Local. We work with local florists and flower shops to offer same day delivery. You will find budget sympathy flowers in Bonifay here. Our funeral flowers are cheap in price but not in value.